Similar Balls: Same Hook Potential, Lane Conditions & Coverstock as the Track Tactix. Don't wait any longer...buy it today!! The Tactix is the best benchmark ball in the current Track lineup. It is the first ball out of my bag and it never disappoints. It is super clean through the fronts, yet retains it's energy to blast through the pins. You cannot go wrong with the purchase of the Tactix! This is a FANTASTIC benchmark ball! This is one of the best "all-around" bowling balls I've ever thrown! I've been able to use it on a variety of patterns, covering different lengths and different volumes - from difficult sport patterns to your traditional league pattern. Smooth, predictable and controllable, the Tactix always gives me an understanding of what the lanes are doing. 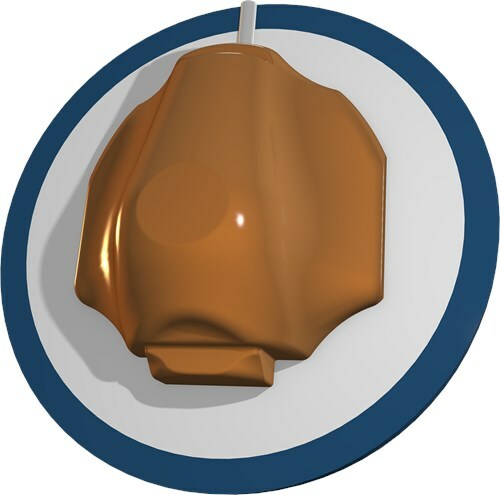 If you're looking for a great benchmark reaction, look no further - the Tactix is for you! When I first pulled the ball out of the box I thought for sure it was going to hook way early. After throwing it I was shocked at just how smooth this ball rolls. It didn't hook to early and has an arc motion with a strong continuous back-end. Doesn't over react at the break point and drives hard through the pins. I am able to play up the boards or move inside as the lanes begin to break down. For me, I can start with this ball in competition and quickly determine if it will be the ball I stay with or if I need to move to an earlier rolling ball or one that gets further down the lane. Definitely a good benchmark ball to have. First Off The Color Of The Ball Attracts Your Eye..This Ball Is A Great Ball To Have In Your League Or Tournament Arsenal..This Will Definitely Be One Of Your Benchmark Bowling Balls You Have In Your Bag..This Ball Will Give You Smooth Mid-lane Reaction And Good Continuation Through The Pins..This Ball Will Pick Up Quickly Through The Mid Lane And Then Save Its Energy So It Drives Through The Pins Kicking Out Those Corner Pins..I Have Found This Ball To Be Very useful not only on fresh but even after transition you can definitely migrate left with your feet with this ball and still get the back-end drive through the pins with it being asymmetrical core type allows you to be very versatile and play different parts of the lanes! Go Visit Your Local Pro Shop Today You Wont Be Disappointed! The New Track Tactix Is Definitely Gonna Be Considered One Of Your Benchmark Balls And First Ball Out Of The Bag..Definitely Clean Through The Front Part Of Lane And Continuous Back End Drive Through The Pins..Best Used On Medium To Heavier Volume Oil Patterns..When Lanes Are Starting Out A Little Slick This Ball's Momentum Will Get Through The Oil And Save Energy In The Backend When Lanes Transition Just Keep Migrating Left And Play A Tighter Line To The Pocket! This Is Definitely A Great Tournament Ball To Have In Your Arsenal..Make Sure To Visit Your Local Proshop And Order One Today! I drilled up my Tactix last Wednesday and it is clearly a ball that is going to get a lot of use. It is a big overall hook ball but I was really surprised to see how well it gets through the front of the lane. It picks up mid lane really well for me and continues through the pins hard. Our house shot usually turns into a wet/dry or cliffed but the Tactix picked up in the oil if I tugged it and it stayed in a controlled arc if I got it wide. This ball really blended out the wet/dry for me. Can't wait to get it on a sports shot. The new Track Tactix is simply amazing! This ball has a lot of bang for the buck. The Tactix will get through that puddle in the middle of the lane yet not react super hard off the dry. I simply cannot put this one down! It's a must have in everyone's bag! The Track Tactix is an upper-mid performance solid that is going to rock your world! This may be the best Track ball I have ever thrown. First of all, don't be confused by the "Tactix" name - it is in the same line as the Logix - but a new coverstock/core combination is being incorporated. The QR-9 solid cover is equally responsive and readable. My Tactix is laid out 90x4.5x30, and the reaction I get out of this ball is like nothing I have ever had. It is remarkably clean through the front - but still has bite. It makes a strong mid-lane move, but reads so well and does not overpower the condition. Then, the backend strength is remarkable. In testing this ball, the most amazing thing I found was that when my ball reaction dictated I needed to move left, the further left I moved, the MORE recovery the Tactix gave me. The coverstock did not peeter-out when I needed to cover more boards. Instead, it seemed to thrive with an increase of axis rotation. With the Track Precision, I believe the Tactix is going to give me the best 1-2 punch I have ever had going into a fall league season, and the Tactix will be the first ball out of my bag on most medium to long sport shots. I've already fallen in love with this ball - and you will too! I will have to get another Tactix to see the stronger or weaker motion. I haven't been able to get the ball to stop reading so early on house patterns which is what I expected when I put the layout on it (pin under the bridge of the fingers) this is a layout that I try with most bowling balls first. They are often too strong on house for me but work well on sport patterns. On the sport patterns I was able to play on the short medium and long patterns. The motion for me is smooth not too much off the friction and not that blast through the pins however, it finishes nicely through the pins. The Tactix is a going to be a part of my triple threat GB2, GB3, Tactix on various tournament patterns. The Track Paradox V will be more aggressive since it is a high performance ball. 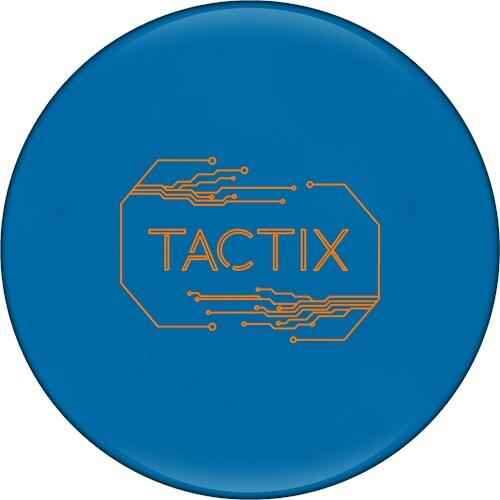 Due to the time it takes to produce the Track Tactix ball it will ship in immediately. We cannot ship this ball outside the United States.